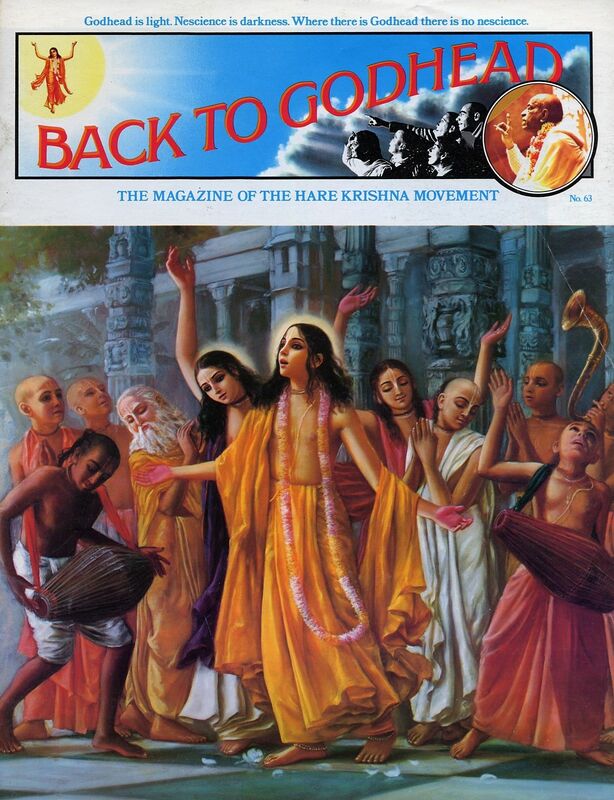 This is a very informative article which gives not only some of the History of Lord Caitanya’s Mission, but on the preaching of Srila Bhaktivinoda Thakur, Gaudiya Vaisnavism, and the Hare Krishna Movement here in the West. In Calcutta in 1896, the teachings of Lord Caitanya began their journey to the West. In Bengali-speaking Calcutta on August 20th of that year, Srila Bhaktivinoda Thakura published a small English treatise entitled Lord Caitanya—His Life and Precepts. Seventyone years later, in 1967, in Montreal, Canada, a graduate student came across a copy of this book while browsing through the rare-book collection of the McGill University library. The book was a wonderful find for him because he was a dedicated follower of Lord Caitanya’s, having been convinced of Lord Caitanya’s teachings by His Divine Grace A.C. Bhaktivedanta Swami Prabhupada, whom he had accepted as his spiritual master. Srila Prabhupada was born in Calcutta on September 1, 1896, only a few days after Lord Caitanya-His Life and Precepts was published. Thus by a transcendental arrangement this significant book and he who would fulfill the purpose of the book appeared together. Thus in this age if one wants to be an unalloyed devotee of God, practically speaking one need only follow the teachings of Lord Caitanya. A Trusted Representative The author of Lord Caitanya—His Life and Precepts, Srila Bhaktivinoda Thakura, pioneered in bestowing upon the world the benediction of Krsna consciousness through the instructions of Lord Caitanya. He himself appeared near Lord Caitanya’s very birthsite, in the district of Nadia in West Bengal, India, in 1834. Bhaktivinoda Thakura is not a conditioned soul born in this temporary world because of the effects of bad deeds performed in previous lives; he is a nitya-siddha, an eternal associate of the Lord, and he is indeed the transcendental energy of Lord Caitanya Mahaprabhu (gaura-sakti-svarupaya). Sometimes during spiritual peril the Lord empowers a trusted representative to act on His behalf, just as a king may send an ambassador to a foreign land to represent him. Bhaktivinoda Thakura is called sac-cid-ananda because he is a representative of the Supreme Personality of Godhead, Krsna, who is also known as sac-cid-ananda-vigraha, the embodiment of eternity, knowledge and bliss. He was sent by Lord Caitanya Mahaprabhu to revive Mahaprabhu’s message of Krsna consciousness and thus redeem the modern world. While cultivating spiritual consciousness, Srila Bhaktivinoda Thakura was simultaneously a prominent magistrate in the government of Bengal. Thus Bhaktivinoda’s life exemplifies what he contributed to spiritual knowledge. He proved that renunciation (vairagya) consists not of ceasing or abolishing any activity, but of adjusting every activity and using every object of the world for the service of the Lord, without thought of personal gain or enjoyment. Thus Bhaktivinoda Thakura, while outwardly a materially successful man, was an ascetic of the highest order (yukta-vairagi). He was completely distinct from the stereotyped Hindu ascetics who renounce everything because they think that everything is mundane, yet he was not among the pseudo devotees (sahajiyas) who indulge in sensual pleasure on the plea that because they are part of God they should be free to enjoy like Him. To live in the Himalayas eating roots and berries, shunning all the activities of the world, actually shows one’s lack of spiritual knowledge. Everything belongs to God. This is the verdict of the Upanisads. Isavasyam idam sarvam yat kinca jagatyam jagat: “Everything in the world, both animate and inanimate, belongs to the Supreme Lord.” Since He is the proprietor, we cannot renounce anything, for one can give up only what one has in the first place. Therefore an enlightened man accepts his quota, what he needs for his maintenance, while at the same time fully aware that God is the proprietor who maintains him. Bhaktivinoda Thakura preached devotional service, which is the real message of the Gita and all the Vedic scriptures. A devotee surrenders everything to Krsna by using everything in the Lord’s service. Srila Bhaktivinoda wrote in one song: “My mind, my household affairs, my body—whatever is mine—I offer to You, my dear Lord, for Your service. Now You can do with them as You like. You are the supreme master of everything, so if You like You may kill me, or if You like You may give me protection. All authority belongs to You. I have nothing to claim as my own.” This illustrates the surrendered attitude of a pure devotee. For Bhaktivinoda, just to perform devotional service was not enough. As a truly realized soul, he yearned for the day when the entire world would taste the nectar of devotion. Each night the Thakura would rest for only four hours, from eight until midnight, and then he would write until morning, when he would go to the courthouse for his judicial duties. In this way he wrote more than one hundred books while still a magistrate. Bhaktivinoda maintained a respectable position in society, but at the same time explained in detail how to get out of this material world. The result was that people listened to him more respectfully than had he been a hirsute hermit. Bhaktivinoda wrote his books mostly in Bengali but also in Sanskrit and Urdu, and to make the teachings of Lord Caitanya appreciable to those outside Bengal and India, he also wrote in English. He wrote his first work, Hari-katha, a book of Bengali verses, in 1850. At a meeting in Calcutta in 1869 he delivered a remarkable speech in English entitled “The Bhagavata: Its Philosophy, Its Ethics, and Its Theology.” Other works he wrote in English during this time include “Speech on Gautama,” “Reflections” (poems), “Jagannatha Temple of Puri,” “Slokas on the Samadhi of Thakura Haridasa,” and “Akhadas [Monasteries] of Puri.” Srila Bhaktivinoda started Sri Sajjana-tosani, a unique monthly journal that continued through seventeen volumes. He composed Kalyana-kalpataru, a collection of Bengali songs, and wrote many other books, among them Sri Caitanya-siksamrta, Saranagati, Jaiva-dharma and Prema-pradipa (a fiction showing the excellence of bhakti-yoga). Furthermore, he published numerous Bengali translations of important Sanskrit works, such as Srimad Bhagavad-gita (one edition with Sanskrit commentary by Sri Visvanatha Cakravarti and a second with commentary by Sri Baladeva Vidyabhusana), Sri Siksastaka, Manah-siksa, Sri Visnu-sahasra-nama, Sri Caitanya Upanisad and Sri Isopanisad (with a commentary by Sri Baladeva Vidyabhusana). During the 1890’s reports came to India of an intensified European and American interest in Indian culture, and a particular interest in Sanskrit. In 1896 Bhaktivinoda penned Sri Gauranga-smarana-mangala-stotra, 104 Sanskrit verses concerning Lord Caitanya’s life and precepts. He sent copies to literary and scholastic luminaries all over the world. Today, Bhaktivinoda’s only surviving son still preserves a letter from Ralph Waldo Emerson, the famous American transcendentalist, gratefully acknowledging receipt of Bhaktivinoda’s book but requesting books in English. As a result of such requests, Bhaktivinoda then wrote Lord Caitanya—His Life and Precepts. As a preacher, Bhaktivinoda Thakura wanted to make the teachings of Lord Caitanya understandable to people in general and popular among them. This missionary spirit followed the express desire of Lord Caitanya Mahaprabhu. Although Lord Caitanya Himself wrote only eight short verses on His teachings, He ordered His chief disciples to write volumes of books explaining, codifying and substantiating these teachings with Vedic authority. It is quite evident from Bhaktivinoda’s books that he took great pains to make these topmost transcendental teachings readily appreciable. 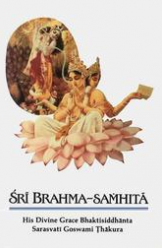 For instance, in his speech on Srimad-Bhagavatam, we see the Thakura making an old, massive Sanskrit tome really interesting because he writes about it in such an honest and charming way. He writes: “The Bhagavata has suffered from shallow critics both Indian and foreign. That book has been accursed and denounced by a great number of our young countrymen who have scarcely read its contents and pondered the philosophy on which it is founded. It is owing mostly to their having imbibed an unfounded prejudice against it when they were in school. The Bhagavata, as a matter of course, has been held in derision by those teachers who are generally of an inferior mind and intellect. This prejudice is not easily shaken off when the student grows up unless he candidly studies the book and meditates on the doctrines of Vaisnavism. We are ourselves witnesses to the fact. When we were in college, reading the philosophical works of the West and exchanging thoughts with the thinkers of the day, we contracted a hatred of the Bhagavata. That great work seemed like a repository of ideas scarcely adapted to the Nineteenth Century, and we hated to hear any argument in its favour. To us then a volume of Channing, Parker, Emerson or Newman had more weight than whole lots of Vaisnava works. Greedily we pored over the various commentations upon the Holy Bible and the labours of the Tattva-bodhini Sabha, containing extracts from the Upanisads and the Vedanta, but no work of the Vaisnavas had any favour with us. But when we advanced in age and our religious sentiment received development, we turned Unitarian in our belief and prayed as Jesus prayed in the Garden. Accidentally, we fell upon a work about the Great Caitanya, and on reading it with some attention in order to settle the historical position of that Mighty Genius of Nadia, we had the opportunity to gather His explanations of the Bhagavata, given to the wrangling Vedantists of the Benares school. This accidental study created in us a love for all the works which we could find about our Eastern Saviour. We gathered with difficulties the famous Kurcas written in Sanskrit by the disciples of Caitanya. The explanations we got of the Bhagavata from these sources were of such a charming character that we procured a copy of the Bhagavata complete and studied its texts (difficult, of course, to those who are not trained in philosophical thoughts) with the assistance of the famous commentaries of Sridhara Svami. From such study it is that we have at last gathered the real doctrines of the Vaisnavas. Oh! What trouble it is to get rid of prejudices gathered in unripe years!” It is rare to find such honesty in the field of religion, where blind faith often demands dishonesty in order to keep itself intact. For his time, Bhaktivinoda Thakura’s approach and thought were downright rebellious. Of all the world’s religions, certainly none is more conventional and reactionary than Indian religion, but there was no protest from the orthodox because Bhaktivinoda presented his arguments most reasonably. This kind of intelligent reasoning, rather than emotionalism, was what Bhaktivinoda used to expose what has been the singlemost perversion of Indian religion: caste consciousness. Although Gandhi is more popularly known in the struggle against casteism, actually Bhaktivinoda Thakura had campaigned against it long before. And even before him, it was Caitanya Mahaprabhu who first promoted spiritual equality in India. Indeed, Mahaprabhu’s two foremost disciples, Rupa Gosvami and Sanatana Gosvami, had been deemed outcastes by orthodox Hindu society because they had very closely associated with the Muslim rulers of the time. Lord Caitanya also appointed Haridasa Thakura, who was born a Mohammedan, to be the acarya or master of the holy name. 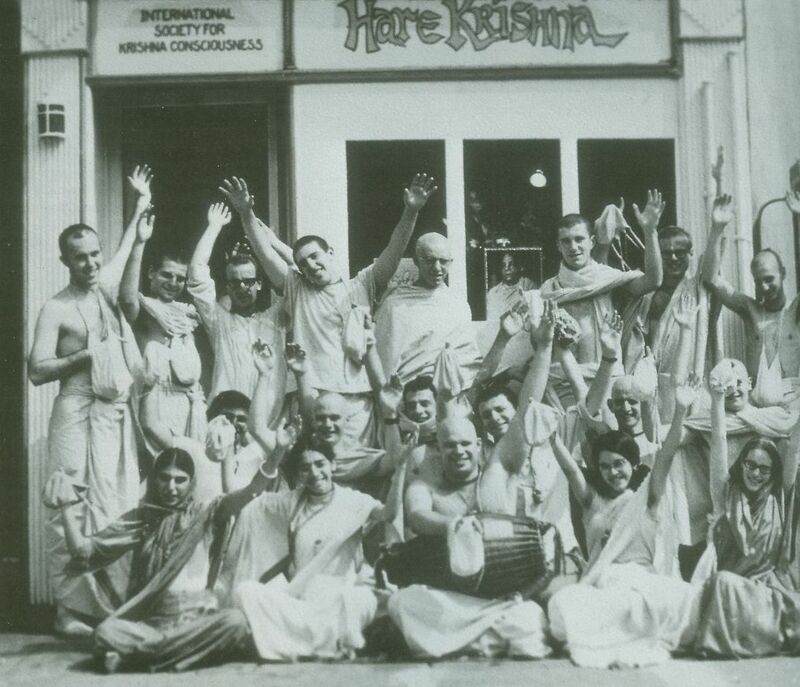 Nevertheless, after Caitanya Mahaprabhu, a group of self-interested brahmanas arose who declared that by genealogy they were the only qualified spiritual leaders. Such exclusiveness is very strong in Indian religion and, of course, not unknown in other religions. This group’s idea was to monopolize all religious functions and collect money. Caitanya Mahaprabhu had opposed such imposters. In fact, on one occasion in Benares, as a protest, He purposely resided at the house of a sudra, although it is mandatory for a sannyasi to stay with a brahmana. According to this verse, four classes-intellectuals; administrators, merchants and laborers-are all created by Krsna. Thus we naturally find these different classes in societies all over the world. However, these classes manifest themselves naturally; they are not artificially created. Everyone has different qualities inherent within him and will behave accordingly. But in no circumstances does one’s behavior depend only upon one’s birth. If one’s father is a highcourt judge, this does not mean that one is himself a high-court judge. He also must first be trained and win a judicial appointment. Krsna therefore says that one is classified according to one’s qualities (guna), and not one’s birth (janma). Thus the caste system as created by the Lord is meant to take account of one’s natural qualities, regardless of one’s birth. If one is born in the family of a sudra, or laborer, but has the qualities of a brahmana, or intellectual, then he must be accepted as a brahmana; and if one is born in a brahmana family but has he qualities of a sudra, he must be accepted as a sudra. Rupa, Sanatana, and Haridasa Thakura among His chief disciples. He elevated them to the status of Vaisnava, which is even higher than that of brahmana, to demonstrate that anyone who is qualified must be accepted as a sadhu, or holy man. Lord Caitanya even predicted that Krsna’s name would be sung in every town and village of the world. Did He mean that only Indians would be singing Krsna’s name all over the world? Obviously He meant that Europeans, Americans and Africans would also take to the chanting of Krsna’s holy name. Lord Caitanya made no bodily distinctions, for His movement is purely spiritual. Nevertheless, such material consciousness still prevails in some religious quarters. Even today the priests of the temple of Lord Jagannatha at Puri will not allow any nonIndian to enter, even though Lord Caitanya Himself stayed there for twelve years and Bhaktivinoda Thakura was the chief administrator of the temple for over five years, from 1871 to 1876. His Holiness Brahmananda Svami served for many years as the first president of the first ISKCON temple in the United States (while at the same time working as a teacher in the New York City public school system). He later became director of ISKCON Press and in 1970 accepted the renounced order of life. He was the first to introduce Krsna consciousness in Africa. He has recently been preaching in Africa and India.